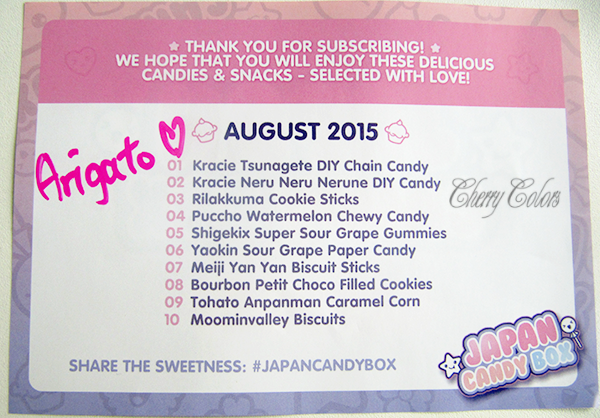 Japan Candy Box - August 2015 - Cherry Colors - Cosmetics Heaven! 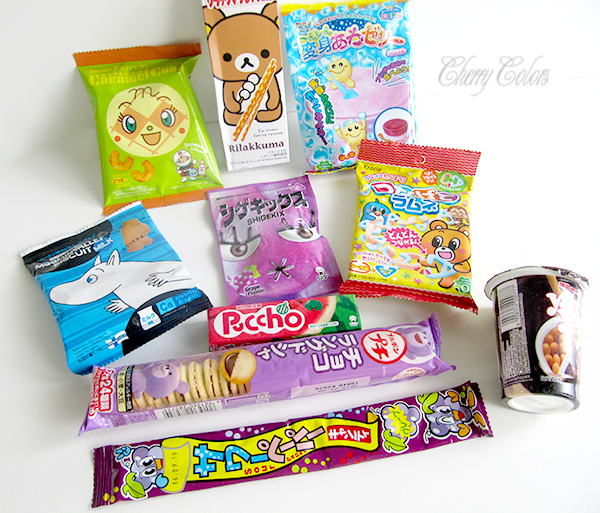 I was so excited when it was set that the Japan Candy Box will be my sponsor for a review (and giveaway which can be found here). I am a huge fan of anything Asian and especially Korean and Japanese. 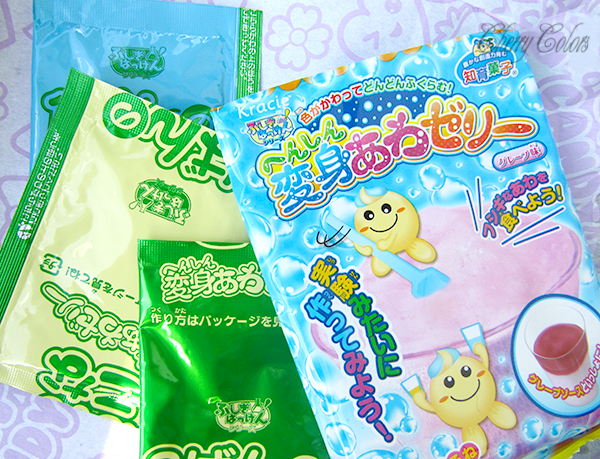 And I always dreamed of trying some of the more known Japanese sweets. Ah, a dream came true! The day came, I got the box in the mail. It went through customs and thus it was pretty much beaten up (they really don't know how to open a package nicely), that's why I am not showing you the box today. I got extremely happy but decided to wait for my kid to get home, so we could start the tasting together. I mean, I wanted to see his reaction ;). The moment came. I opened the box and squealed with joy. Oh, everything looked SO CUTE! 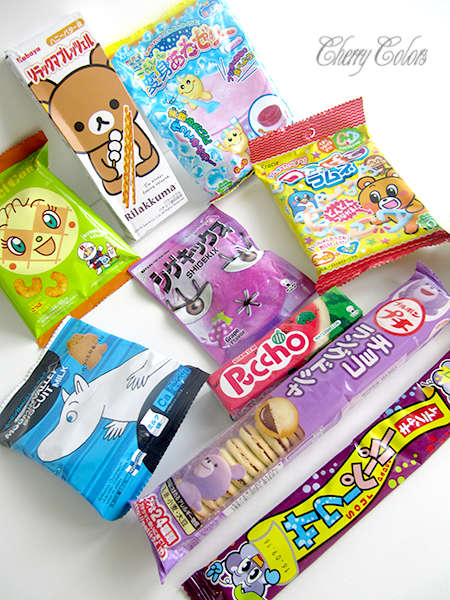 The Japan Candy Box is a subscription kind of a box which contains 8-10 unique Japanese snacks and candies. They change from month to month and I'm reviewing the August box. It costs between $18.20 to $19.90 a month. It depends for how long you subscribe. Also, the shipping is free which is always a bonus with such boxes. It's not the cheapest box out there, but it's quite a unique concept and a box which should every Japanese enthusiast try at least once ;). I got 10 candies in the August box and even if they came packaged in a small kind of a box, there are plenty of them to feast on. I will review each candy separately, just over the pictures. I decided to go with separate pictures instead of one big mess of them (merged) because it's easier on the eyes and you can see how pretty they are. 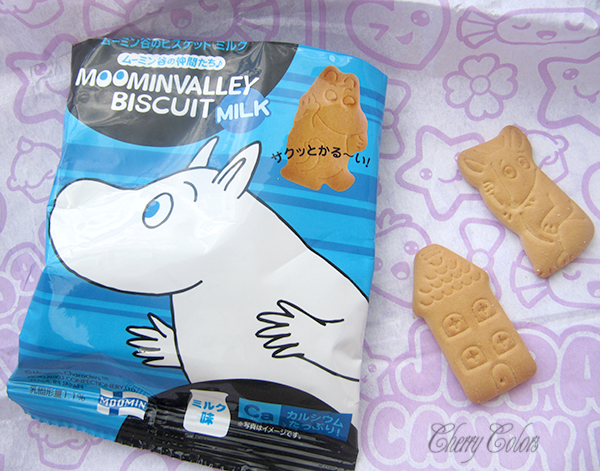 First are the Moominvalley Biscuits. These are the first that caught my eyes. 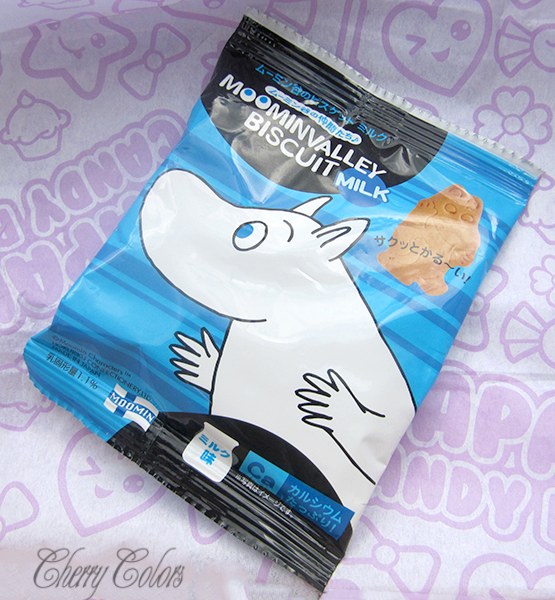 A lovely blue package with the well known Moomin character. We did have the cartoon here back in my "younger" days. The biscuit is a dry kind of a biscuit and the taste is nothing new to me. It tastes like the "Albert cookies" we have available in Slovenia. 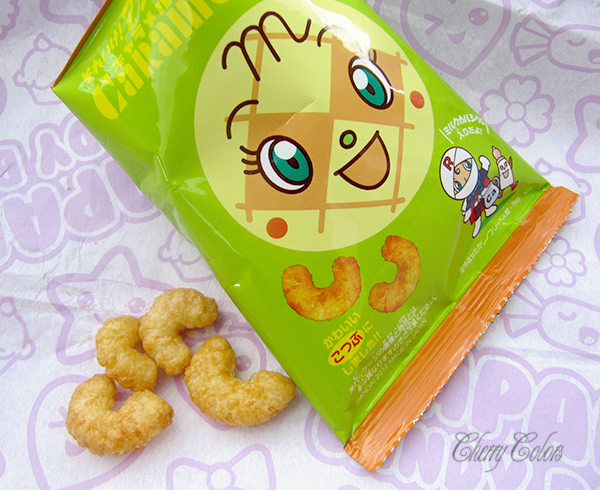 Yummy but nothing extraordinary (except the shape and package). 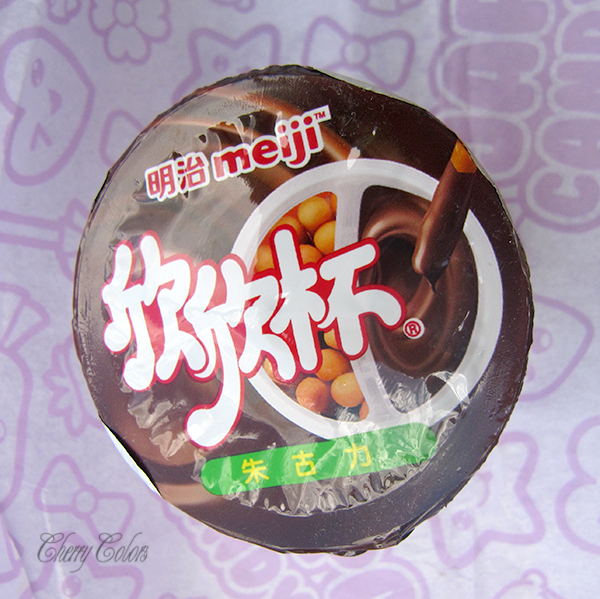 I did like the taste and my kid also enjoyed it. 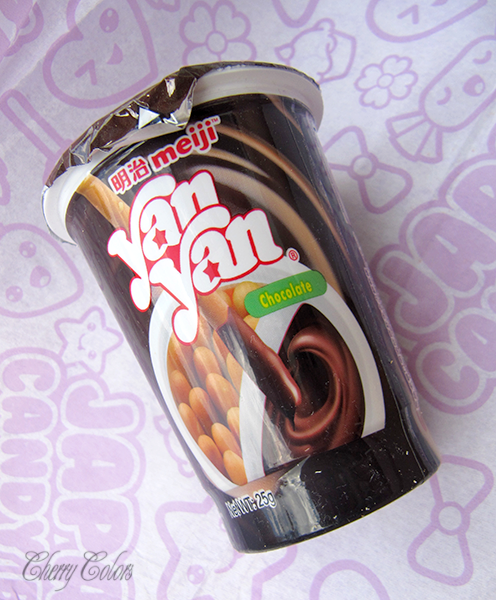 The next we have the Meji Yan Yan Biscuit Sticks which looked familiar to many similarly available products in my home country. 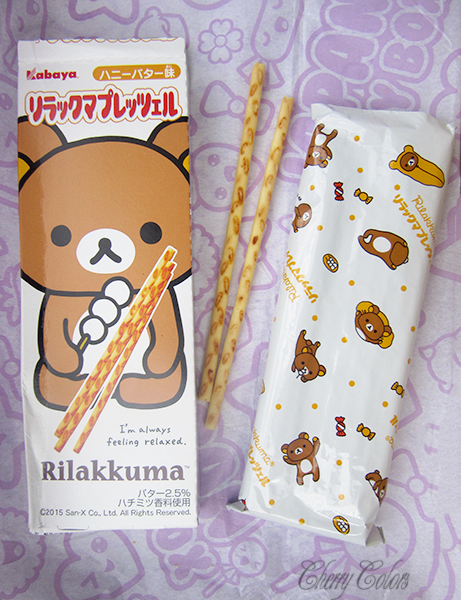 The packaging lets us know it contains chocolate and some sort of bread sticks inside. 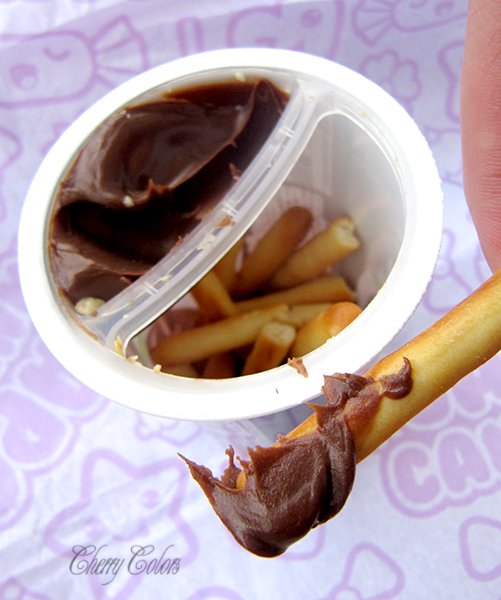 I liked the bread sticks because they weren't salty or didn't have much flavour to them so the combination with the chocolate was fantastic. 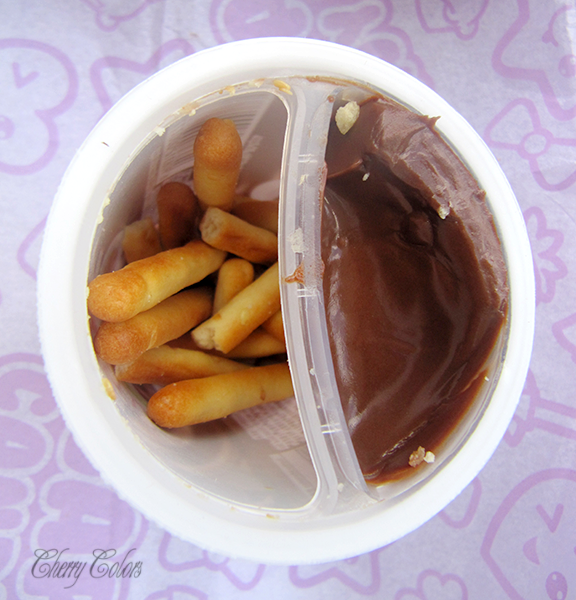 The chocolate tastes a lot like hazelnuts and for a moment or two it brought me back into time, to my childhood. I was ecstatic! 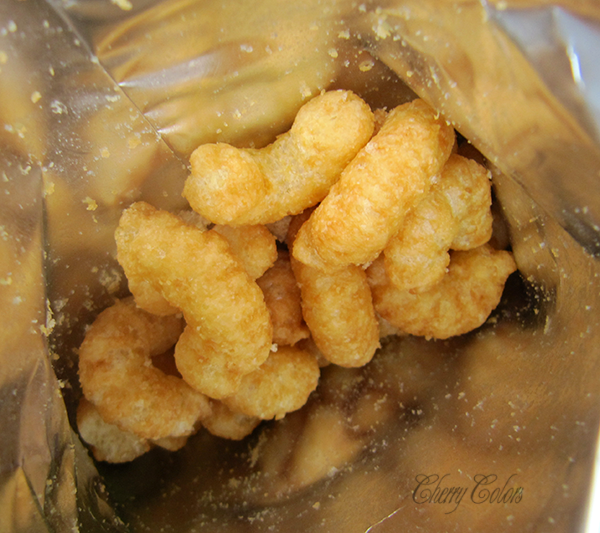 A taste I know from my childhood. I can't pinpoint what exactly it is, but I loved it! GREAT! 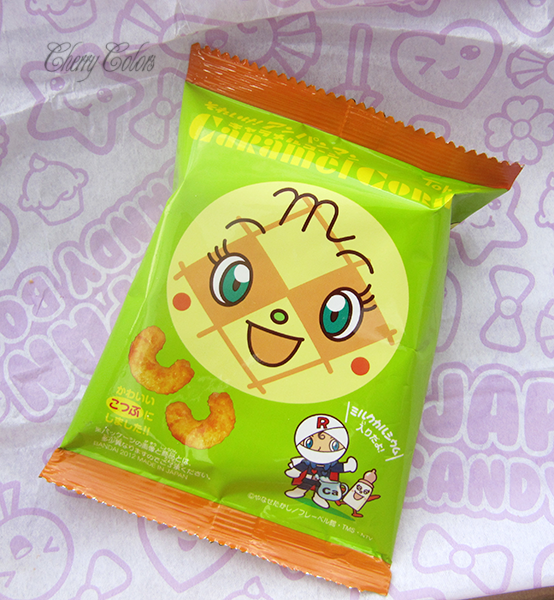 I thought I knew exactly what I was tasting when I bit into the Tohato Anpanman Caramel Corn, but I soon realised I didn't even read the package. Of course it's so distractingly cute I kind of just forgot to do so. Well, these are corn flips except sweet. The taste is pretty much caramel with an aftertaste of corn flips. It's very interesting, but I was unexpecting is. The kid loved it and I think he ate them all. For me, it was interesting. 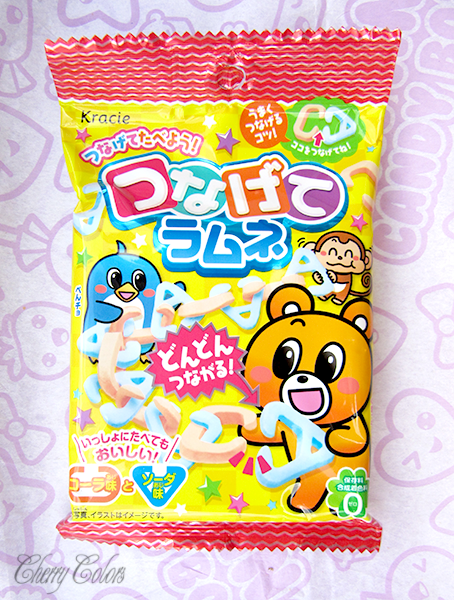 Kracie Tsunagete DIY Chain Candy is a lovely DIY set about which I was very excited. I love everything DIY and these looked fun. Except they aren't as fun as they look and are better to be eaten than to be watched or worn. They came in two shapes a C shape and an A shape. Both in different colors. 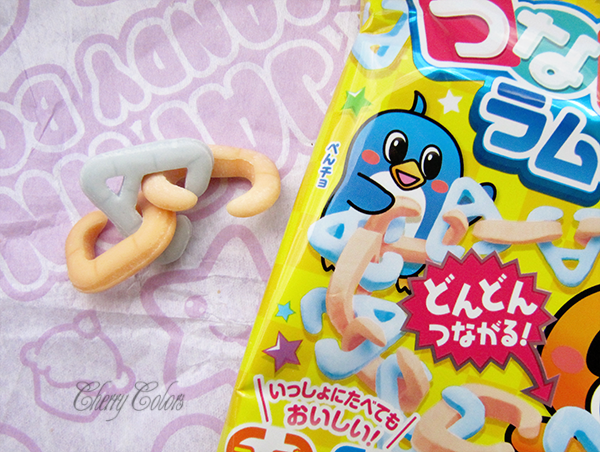 The A shape is a light blue color and tasted a bit like bubble gum, nothing too definite about it. 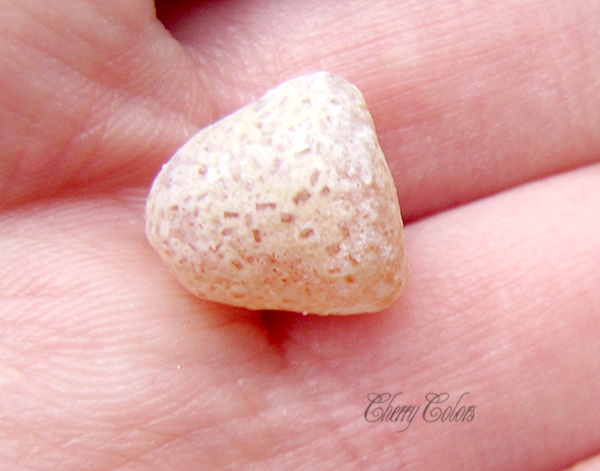 The C shape is orange and it tasted like the Maoam candy we have here, but firmer. 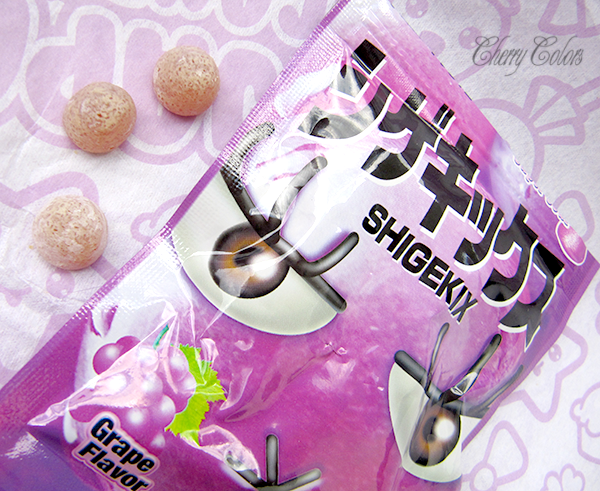 The next ones are the extremely sour Shigekix Super Sour Grape Gummies. I was so happy to try what is very sour in Japan. And I wasn't disappointed. They are very very sour. The kid spits it out the same moment he got the candy in his mouth. But I liked them. 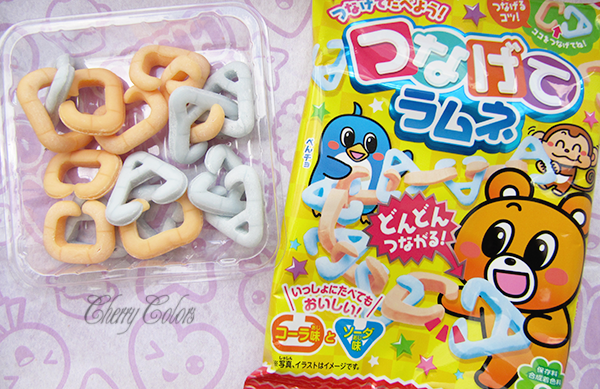 These are actually small gummy candy covered in sour powder. The taste is well, grape. Exactly the taste you think it has. Like grape juice. Or artificial grape, just less sweet. Then we have some candy that looked like something I could buy in my country. 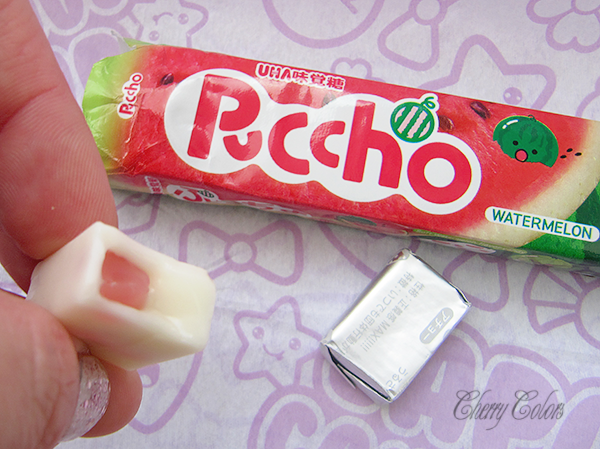 Well, I am talking about the Puccho Watermelon Chewy Candy. These are a bit hard when you first bit them but after some chewing they get softer. Not very soft, so there's that to be considered. The candy comes individually wrapped in silver foil and the foil has some characters (?) drawn on them. 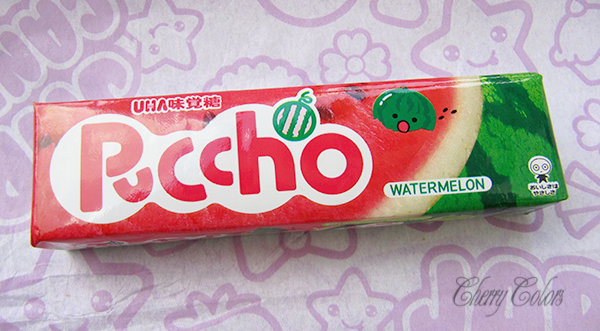 They are filled with a watermelon flavoured paste. The kid loved them. I? Not so much. The candy was a bit plain for me. But I am the minority in such thinking ;). 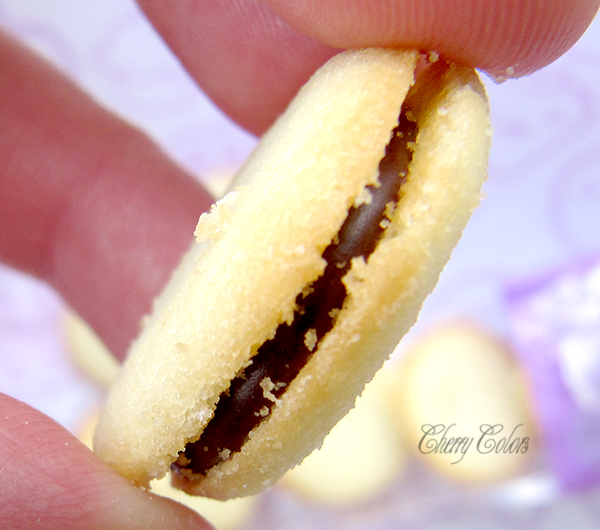 Oh, the ones I'll dream about are the Bourbon Petit Choco Filled Cookies. Do you see a theme here? 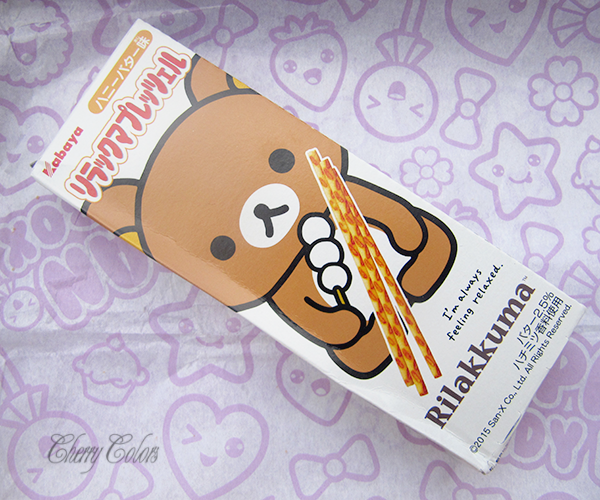 anything that has chocolate in it, it's instant love for me. Hilarious. 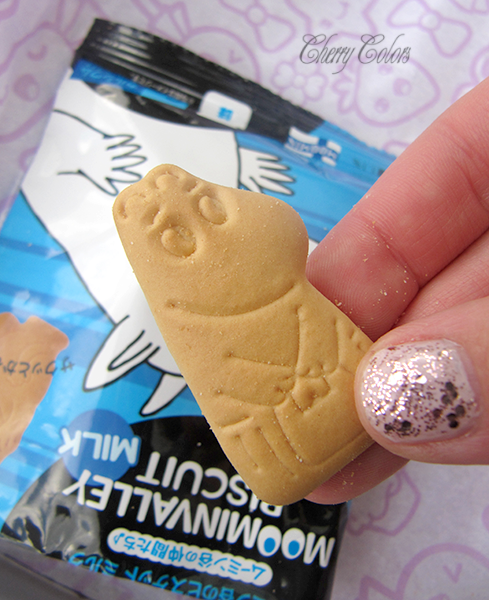 No, but really these are out of this world. 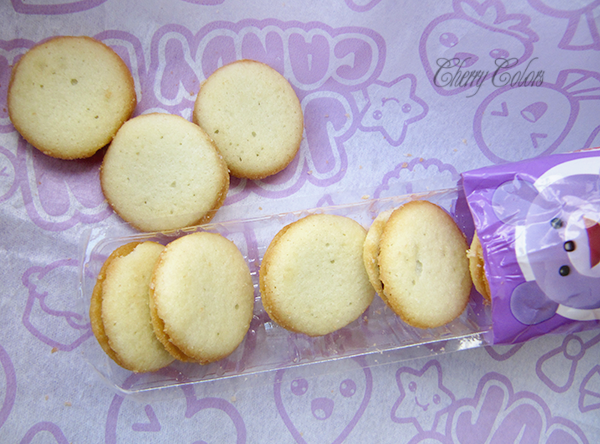 The biscuits are delicate and crunchy and have a similar taste to the sweet ice cream cones. Inside they are filled with some milk chocolate cream and they are D-E-L-I-C-I-O-U-S. 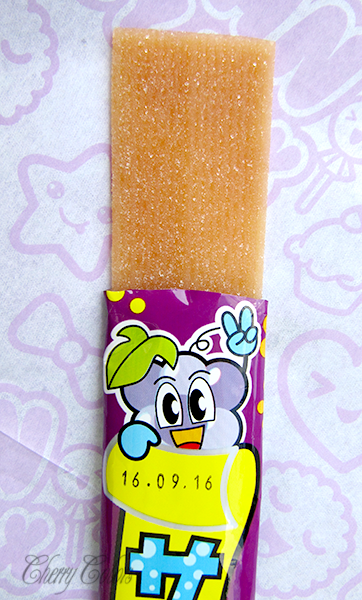 The next candy is a widely known candy (we have similar ones here) by Yaokin Sour Grape Paper Candy. 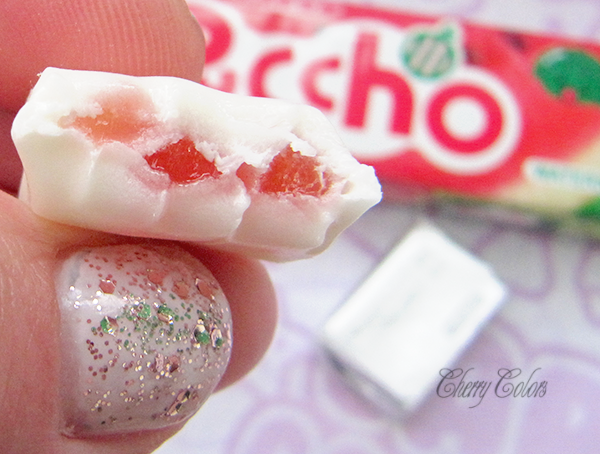 It is a regular sour sugar coated candy strip and the more you chew it, the sourest it becomes. I liked it and the kid did so too. 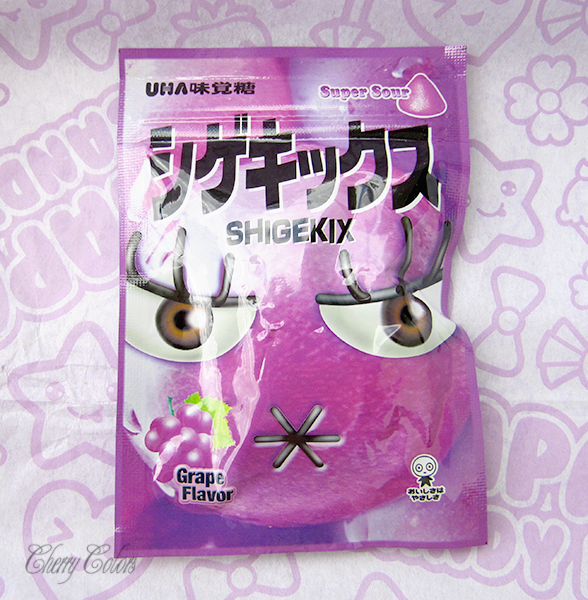 It is the same grape flavour as before. 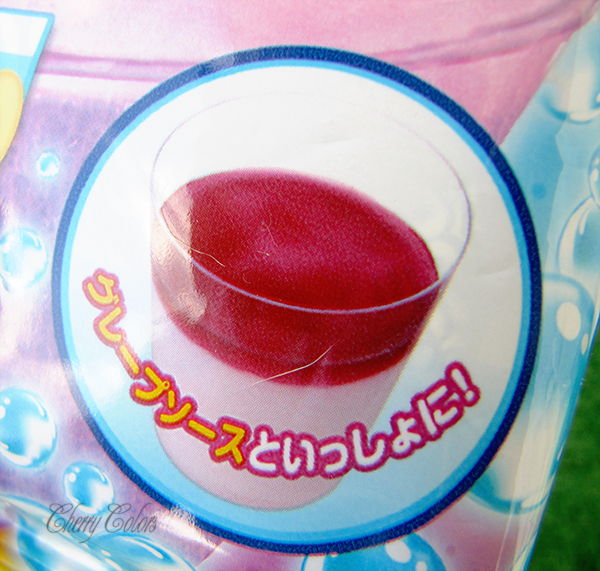 Really, grape flavour is fine, but it hardly has any nuances. And for the last one, here's another DIY or more mix it yourself kind of product. 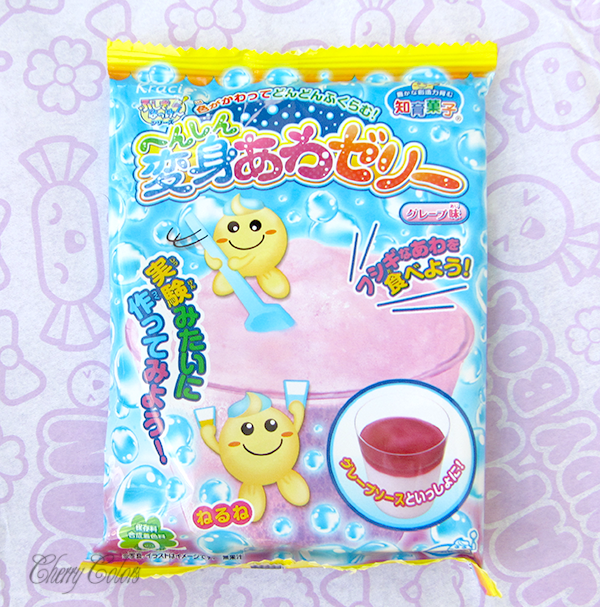 I'm talking about the Kracie Neru Neru Nerune DIY Candy. The packaging looks intriguing and I couldn't wait to get my hands on some glassware and water. 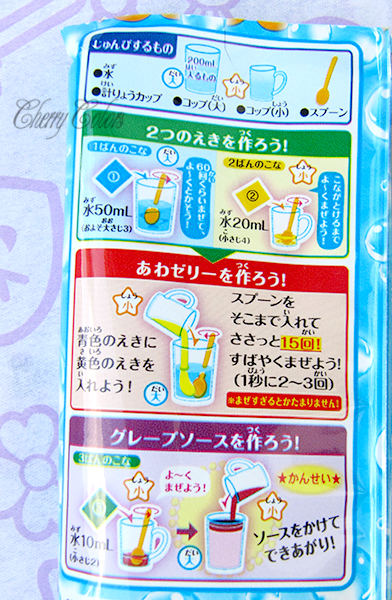 I checked the instructions and hoped it doesn't say anything about hot or cold water because I couldn't read it D:. The mixing is quite fun. First you take 200ml of water and pour in it powder 1. 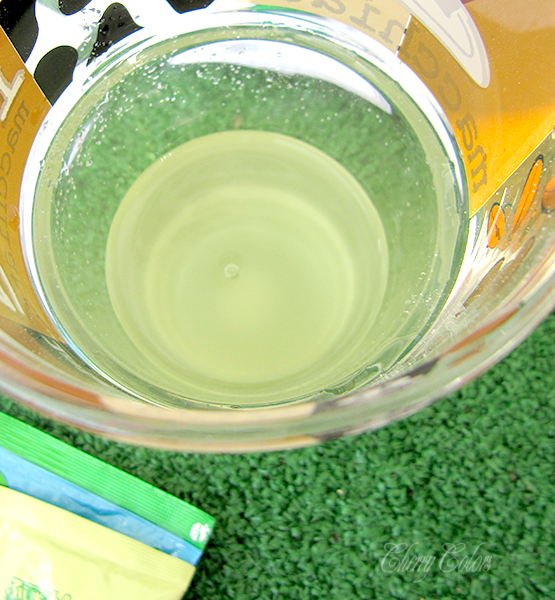 In another cup, you take 20ml of water and pour powder 2. Then you mix the smaller liquid into the bigger one. Stir well. 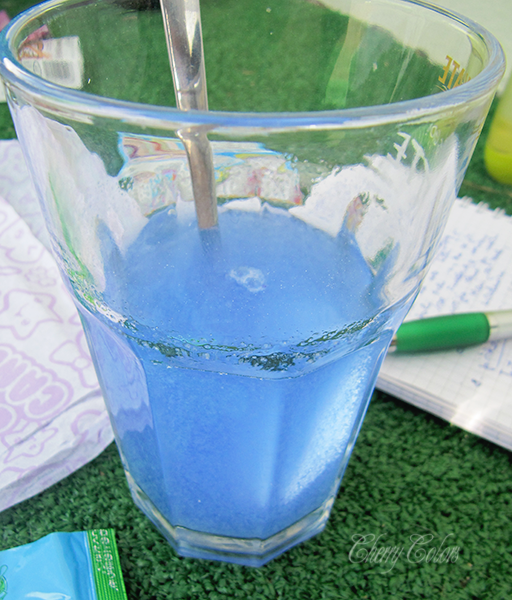 You take another cup, add in 10ml of water and add powder 3. Pour it into the big mix. And you're done. The taste? Grape. Seriously, was this box grape themed? 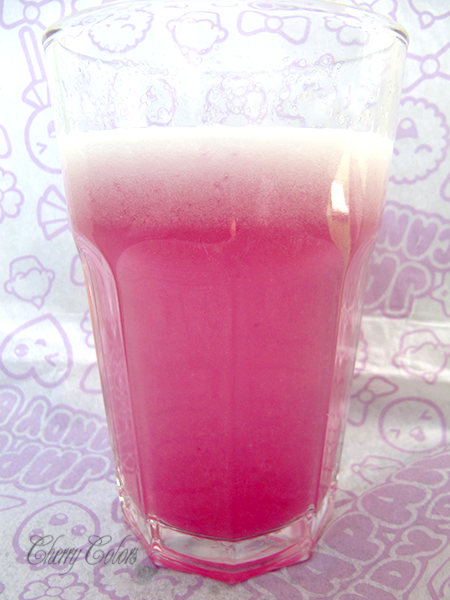 :P It is also slightly carbonized and has a tingly feeling on the tongue, like a soft drink, just less. 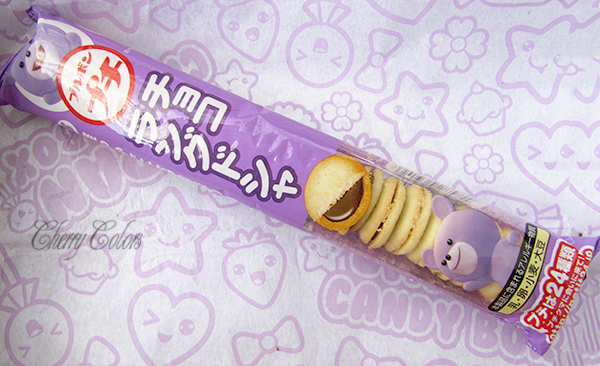 The kid loved it, but I wasn't too excited about it simply because of the grape flavour. In the end, I got worried because mine did have switched colors :P.
I am very happy that I got to try this box of Japanese Candy. 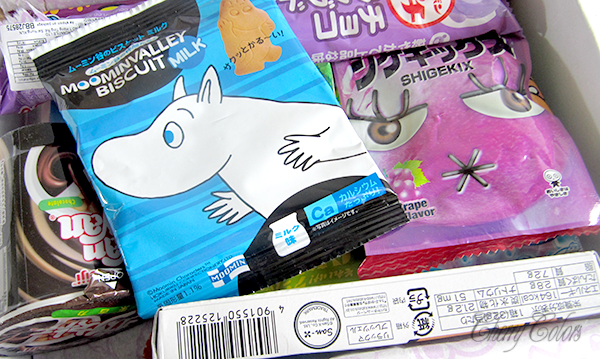 Each one of them did taste quite differently (except the Moomin biscuits and the Rilakkuma Pockeys and three grape flavoured things). I enjoyed this a lot and found it a great bonding experience with my kid. I do recommend trying this box if you are into candies or sweet snacks because they are interesting and some flavours are unavailable to us, European people (ahem, Slovenian people ok).